Batchelor's Building and Maintenance Ltd - Builder, Home Improvements, Tiler - Tiling based in Hackleton, Northamptonshire. Hello, my name is Tom Batchelor and I own Batchelors Building & Maintenance. We offer everything all under one roof, as our motto states "One Name Does It All" whether it be general property maintenance, plumbing, plastering, carpentry, etc I am sure we can do what you need! We also guarantee to beat any like for like written quotations as we believe in being priced fair on materials as well as labour. 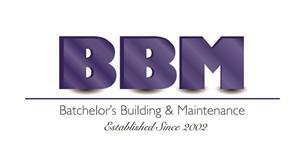 Instagram: batchelors_maintenance or facebook: Batchelors Building & Maintenance.